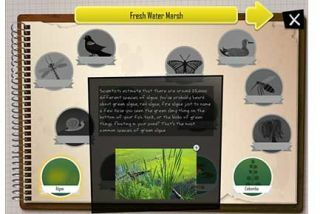 Pros: Excellent graphics and animations make learning about wetlands fun and engaging. A journal keeps track of discovered species, empowering kids to explore and learn. Cons: Experimenting by adding species to the biodomes is confusing and could use more instructions and concrete results. Bottom Line: iBiome -- Wetland is a fun, interactive way to learn about ecosystems without the hassle of getting wet.